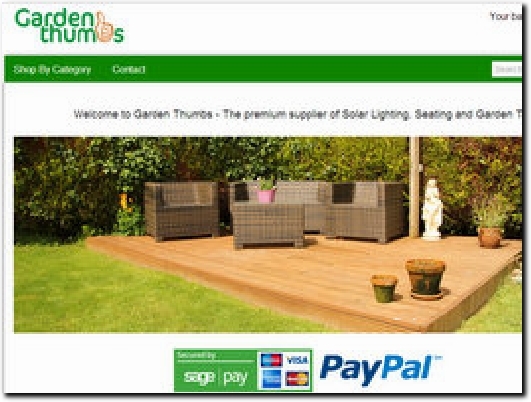 Premium Supplier of solar lighting, seating, garden tools & equipment. Suitable for all budgets and home requirements. Website selling a range of garden-related products. Comprehensive Terms & Conditions section covers most queries. Secure payments taken via SagePay or PayPal. The Contact page gives the full postal address, phone no., e-mail address and also the VAT registration no.